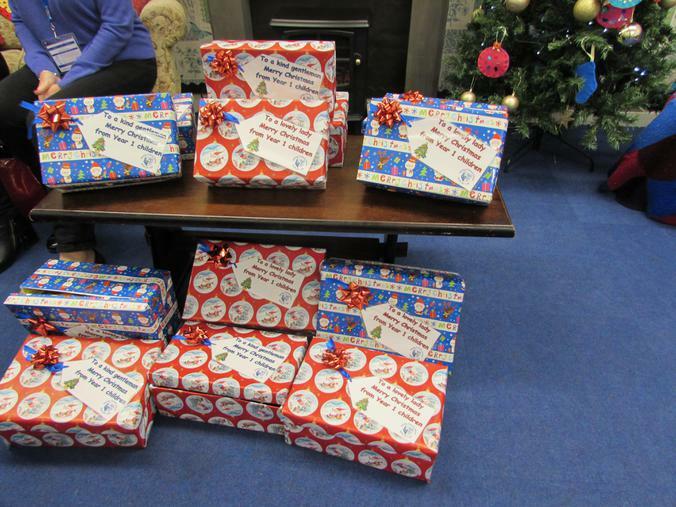 The children from year 1 have brought items into school suitable for older people to fill shoe boxes. 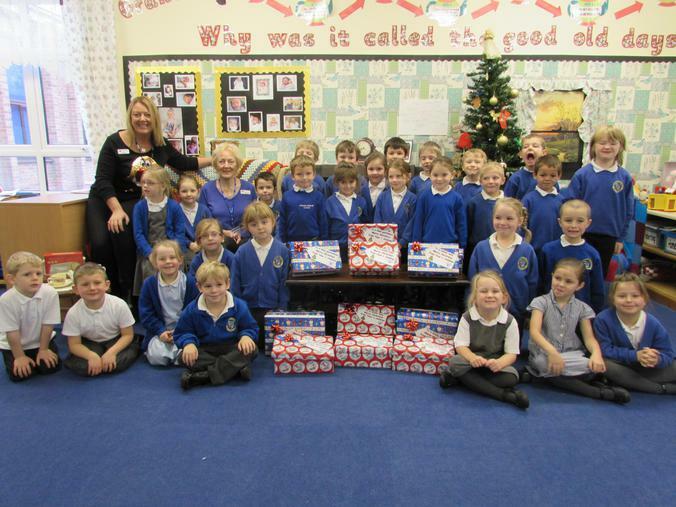 They are supporting the Grimsby based charity 'Not home alone at Christmas'. 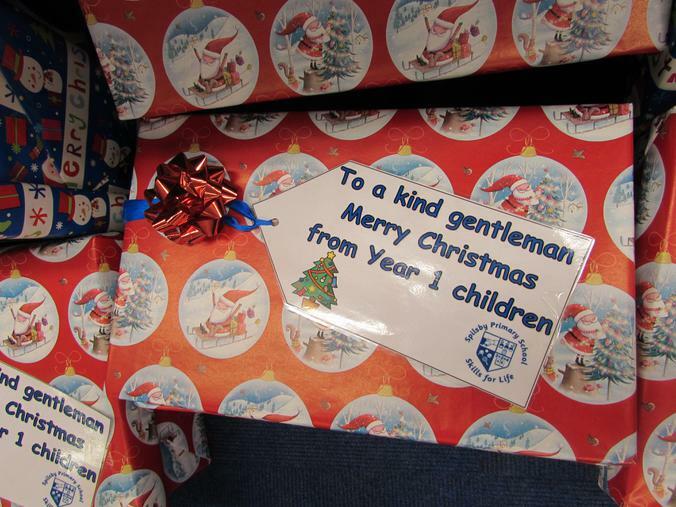 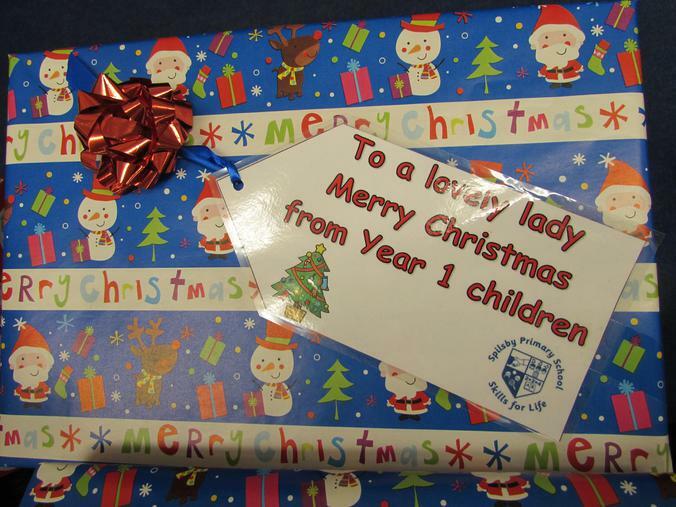 The ladies from the charity visited our school and collected the beautifully wrapped shoe boxes last week. 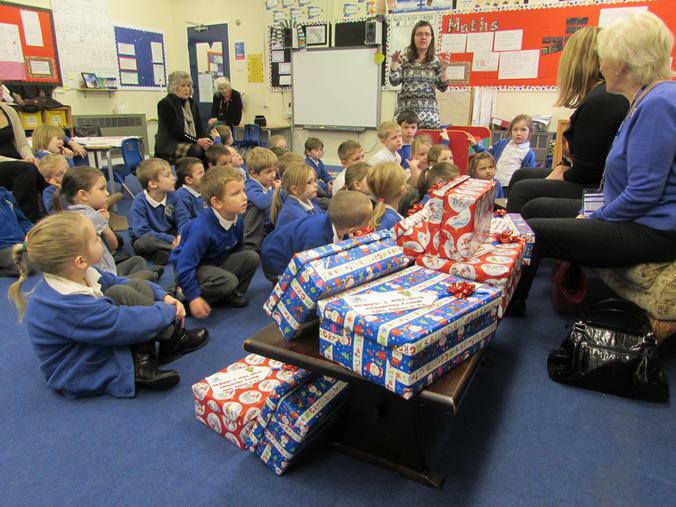 They enjoyed meeting the children and were able to talk to them about the charity.